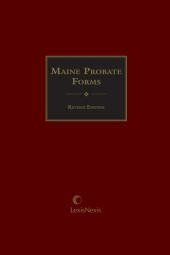 Maine Probate Procedure provides comprehensive analysis and instructions for use of the official and recommended Maine probate forms. 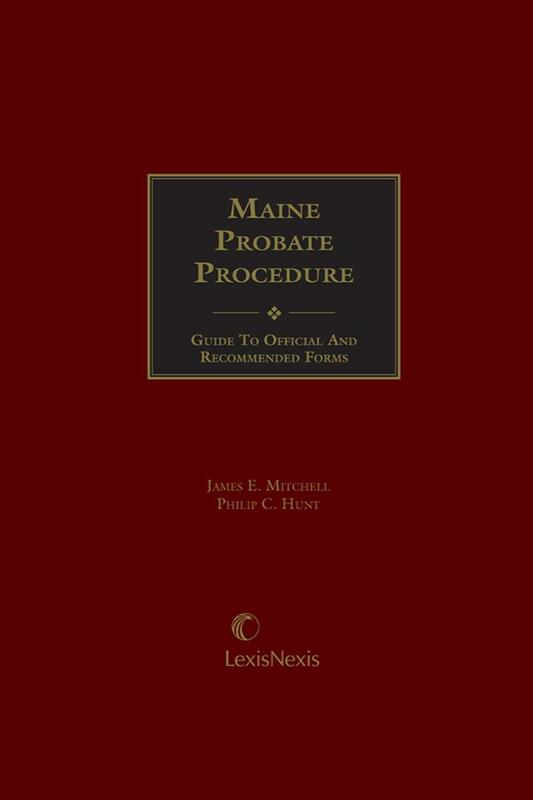 Maine Probate Procedure is a one-volume guide to the Official Probate Forms and the Supreme Judicial Court's suggested forms and materials.  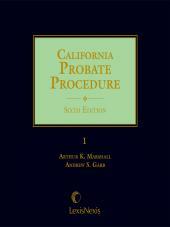 It contains advice on how to use each of the 13 major categories of forms (including forms for notice, forms for decedents' estates, and forms for guardianship and protective proceedings), citations to new statutory and case law developments, suggestions on when and how to use each official form, and supplemental sample forms and instructions. 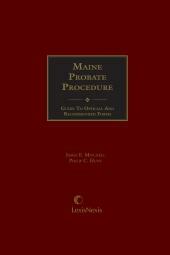 It also features appendices, including a list of Maine Probate Court judges, fee schedules, and tables of statutes and cases.